A gorgeous blooming beauty! From our Full Bloom Collection, this brilliant round solitaire speaks for itself. 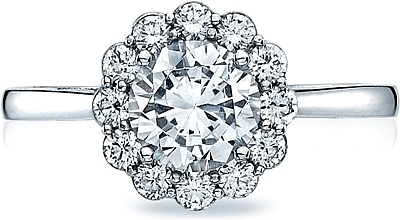 The bloom of diamonds gives the center stone a precious floral feel. The clean lines of the foundation are accented with the iconic sculpted crescent design to captivate a timeless romance.